Dr. Mary Panyk-Oshiro began her career in dentistry as a 14-year-old dental assistant working for her father, Dr. Eugene Panyk. Dr. Mary grew up in Racine and eventually attended UW-Parkside and UW-Oshkosh for her undergraduate training. 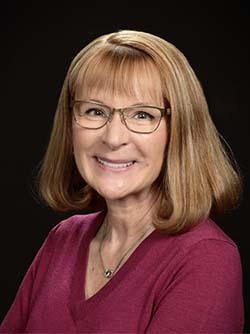 She received a Doctorate of Dental Surgery degree from Marquette University School of Dentistry in 1985 and immediately joined her father in his practice of general dentistry. Dr. Mary graduated at the top of her class and was distinguished by the Omicron Kappa Upsilon Honor Dental Society. 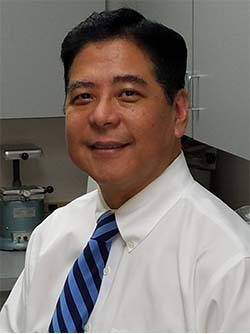 Dr. Edward Oshiro graduated in 1985 with his Doctorate of Dental Surgery degree from Marquette University School of Dentistry. Dr. Ed completed his undergraduate training at the University of San Francisco receiving a Bachelor of Science degree before entering dental school. Following graduation from Marquette School of Dentistry, Dr. Oshiro worked for 2 years with the National Health Service Corps to provide dental care for the underserved in Milwaukee. He then joined Dr. Mary Panyk-Oshiro in her practice of general dentistry and has been practicing for over 31 years.